↑ I've moved again : On a New Road. Nighthacks.com. Retrieved on 2016-05-17. 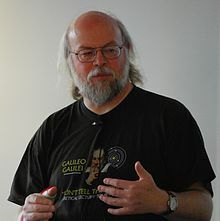 ↑ "James Gosling". Retrieved 31 December 2017. ↑ "Gosling Emacs". Retrieved 31 December 2017.